A new larger-than-life 3D printer has launched this week, Kickstarter crowdfunding website in the form of the new Gigabot 3D Printer. 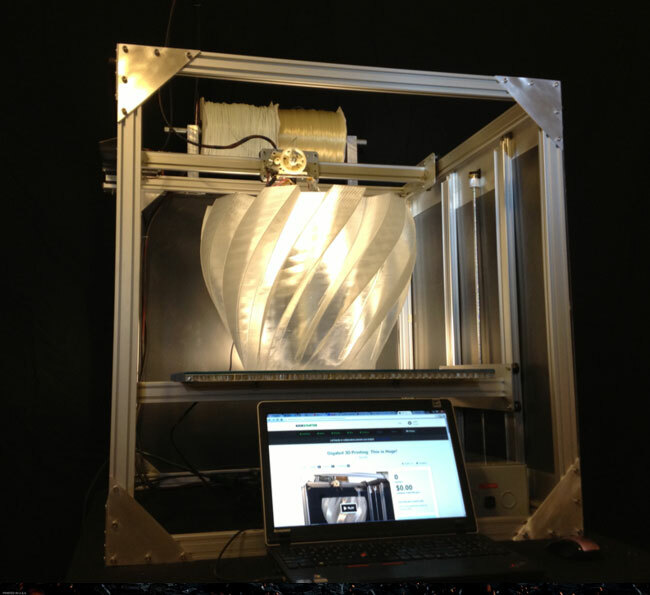 Which has been created to provide an affordable large format 3D printer for the home or small business. The new Gigabot 3D Printer has been created by re:3D based in Austin Texas, and is the first large-format 3D printer designed for the home. So if you think Gigabot 3D Printer is something you could benefit from, visit the Kickstarter website now to make a pledge and help Gigabot become a reality. Its currently over half way towards its goal and has raised $28k from its $40k goal already with 59 days to go.